The 2016 Diamond League has kicked off and I have to say I’m loving it. There have been many fantastic performances already in the four meets held to date, and I’ve been particularly impressed at how many Olympic hopefuls have hit their straps so early in the season from when the first DL meet of the year was held in Doha. I guess a question is, how many leading medal prospects can keep going at the pace they are, through to Rio? For many track and field fans, the focus is on the big Diamond League (and World Challenge) meets, however I’ve also been watching a crop of outstanding New Zealand 1500m runners as they attempt to qualify for Rio elsewhere. Hamish Carson, Rio hopeful, 1500m. Zealand summer, when Rio bound Olympian Nick Willis set up the pace for a fast mile. Of the three athletes, the one I’ve honed in on is Carson. Why him? Glad you asked. The answer is because like me, he’s a Kāpiti Coaster, he attended my school, and also ran for the same club I did as a youngster, so we’re bonded by alumni, even though I’ve never met the guy. Right now, Hamish is probably going through considerable angst. I, on the other hand, am loving his pursuit of securing a qualifying time. That’s because he and Eric are playing out a ‘real life’ version of the scenario in my novel No Wind where Kelly chases down an Olympic Games qualifier. 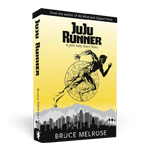 And just like my book, we have a situation where two New Zealand 1500m runners (Nick Willis and Julian Matthews) have already secured a time, leaving one spot open, but with several runners still vying for it. That makes for an exciting prospect as well as a great storyline. As an aside, I’ve been really impressed with Nick Willis’ attitude towards helping other 1500m hopefuls get to Rio with him. Maybe I’m wrong on this next point, but I’m not so sure if John Walker would have done the same thing. I recall, as a kid, watching the great trio of Walker, Dixon and Quax compete in local track meets. Their presence in local races pulled runners through to some great times – it’s just that their efforts never seemed like an obvious attempt to aid other runners qualify for national teams bound for major championship meets. Willis more recently also paced Carson, Matthews and Speakman at a meet in the U.S in May. At the moment the chase for a qualifying time has seen Matthews qualify and Carson record three 3:36 times (run in the U.S, Canada and Belgium), all just a fraction outside the qualifying time. I truly think Hamish will get his time, and when selected for Rio, it will be richly deserved. Hot on his heels however are Eric Speakman and – a dark horse who I’ve been following, based in the U.S – Julian Oakley. Oakley’s potential is real, so I wouldn’t write him off yet, however his recent form has seen him fade from the reckoning – for now. Julian Oakley, left, is an up and comer and a dark horse. Rio might be too soon for him. I’m picking Tokyo will be his real chance to run at an Olympics. The last time I saw an athlete chasing down an Olympic qualifying time was the great Kiwi 3000m steeplechaser Euan Robertson. Like Carson, Robinson was already an accomplished athlete when he raced across the tracks of Europe with Walker, Dixon and Quax in 1976. Robertson ran brilliantly in Europe but was still overlooked by the selectors for Olympic inclusion. When Robertson finally nailed his qualifying time with a NZ record time, achieved right on the eve of the cut-off period – one month out from the games, he was in the shape of his life. The selectors had no choice but to add Robertson into the team at the last possible moment. That’s why I’d be inclined to take Carson to Rio, if I were a selector, based on what he’s run to date. For me, Carson’s three 3:36 1500m times – run in a condensed time frame in North America then Europe – show consistent form and resilience, in that he was able to jet across the Atlantic to run his third 3:36. That’s the sort of form, I think, would see him through into a semi-final in Rio, so long as he can keep replicating and/or improving by a second on those times. Ironically, being able to run 3 x 3:36 in a tight timeframe puts Carson in a better position than someone who runs a one-off 3:34 qualifier, with back-up times of 3:38 and 3:40, in my view. Trouble is, the way the selection for Rio seems to be currently set up is that the 3:34 runner would trump Carson for selection, if such a scenario did come to pass, which I think is a selection failing. Then again, the more subjectivity built into selection criteria, the higher the potential for selection dispute. That said, for me, while it does seem that the emphasis for selection is still overly weighted in favour of an athlete securing a qualifying time over all else, I’d rather select an athlete who is able to replicate a series of performances, even if not securing an actual qualifying time itself. Being able to simulate Olympic competition i.e. run 3:36 in a heat, do it again in a semi and once more in a final is more reassuring to me than having an athlete with a single qualifying time, who can’t simulate racing three hard races over four days, and who bows out, Peter Dante style, in round one. I love the Euan Robinson story. It always struck a cord with me, which is why it was a key influence I used as an input into my novel No Wind. 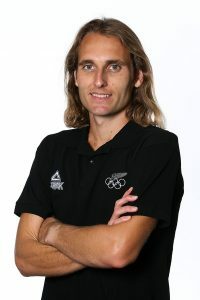 I recall Robinson was so late to qualify for Montreal, he didn’t even get issued an Olympic uniform, yet his form on the track was such that he marched confidently into the Olympic 3000m steeplechase final where he finished 6th, bettering his own NZ record. 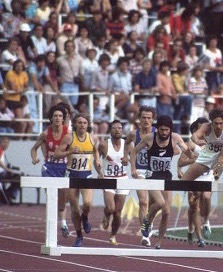 Roberston’s record stood for eight years until Peter Renner finally smashed it in 1984 – the year he also made an Olympic steeplechase final. If you read my novel, No Wind you’ll see Robertson’s inspiration is clearly an influence in an early part of my story. I really hope the Euan Robertson story plays out the same way for Hamish Carson. I’ll keep following his story with much interest, so I wish him, and the other Kiwi 1500m runners who are seeking to compete in Rio, all the very best for the remainder of their European seasons. Kia Kaha. Stay strong.